I went to the Apple store at the Grove and purchased a very pricey ($349.95) Bose QC3 headphones. 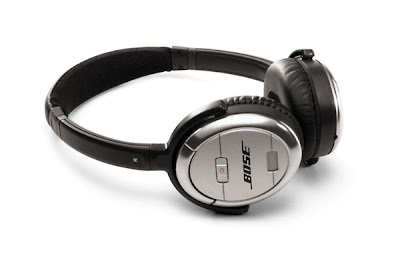 It has active noise cancelling technology which cuts out most if not all ambient noise. I can listen to my ipod clearly. It's really strange, when I flip the switch on because I feel like I'm deaf and cannot hear anything at all.